Your prize award has been insured in your favour and is ready for claims. To begin your claims therefore, you are advised to expeditiously contact our licensed and accredited claim agent for Overseas Winners within a period of 7 working days (date of this email inclusive) for the processing of your winning and remittance to your designated bank account after all statutory obligations have been satisfactorily dispensed with. Please be informed that claims not processed within the stipulated period may be forfeited to the pool without further notice. Your claim agent will immediately commence the process to facilitate the release of your funds as soon as you contact him/her. You may wish to establish contact via e-mail or fax/telephone with the particulars presented below. Our winners are assured of the utmost standards of confidentiality, and press anonymity until the end of proceedings, and beyond where they so desire. Be further advised to maintain the strictest level of confidentiality until the end of proceedings to circumvent problems associated with fraudulent claims. This is part of our precautionary measure to avoid double claiming and unwarranted abuse of this program. 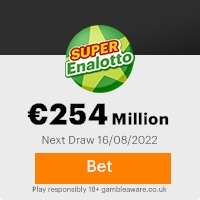 Any lottery double claim dedected by our monitoring committee will lead to the Lotaria Popular cancelling the winnings. making a loss for both the real winner, and the fake (intended) claimer. Copyright © 1994-2006 The Lotaria Popular International Lottery Inc. This Email with the Subject "DEAR LUCKY WINNER!!!" was received in one of Scamdex's honeypot email accounts on Mon, 27 Nov 2006 19:31:53 -0800 and has been classified as a Generic Scam Email. The sender shows as "LOTARIA POPULAR INTERNATIONAL" <lotteryint7@atlas.sk>, although that address was probably spoofed. We recommend that you do not attempt to contact any persons or organizations referenced in this email, as you may expose yourself to scammers and, at the very least, you will be added to their email address lists for spam purposes.